American Panel’s tile and stone hearth pads are handcrafted to provide the ideal foundation for your freestanding gas, wood, or pellet stove. 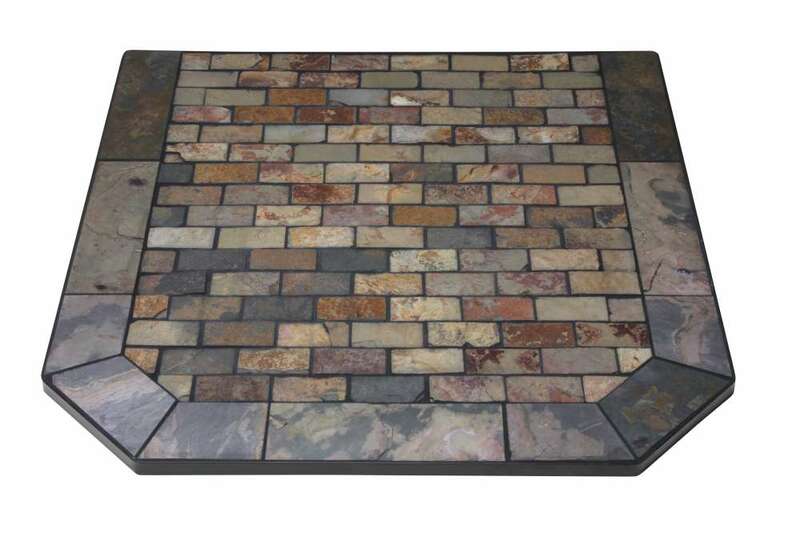 With two frame styles and over 15 tile and stone options, they have the perfect hearth pad to complement your stove and décor. They also do custom orders if a stock hearth pad doesn’t meet the size you need. 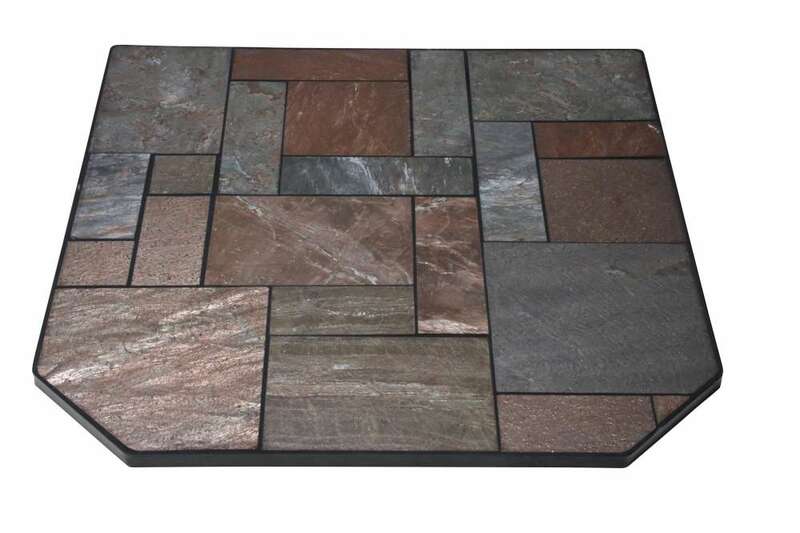 Asian Slate – Natural Cleft Slate is the most popular texture for slate flooring. The surface is moderately rough giving your hearth pad a slip resistant and very unique appearance. This photo displays the Asian Slate Natural Cleft color option. Montana Flagstone – With an earthen feel and antiqued look, Tumbled Slate is a versatile material that aesthetically adds to the interior of any home. This photo displays the Montana Flagstone Tumbled Stone color option. Night Shadow – Add extra beauty to your stove while still providing great protection with one of these Two-Tone Series ceramic tile hearth pads. This photo displays the Night Shadow Two-Tone color option. Polished Copper Slate – Polished Slate is often considered more elegant than natural slate and has a more “finished” look. This photo displays the Polished Copper Slate color option. Safari Sand – A step above the Designer Series, the Elegant Series offers the same safe and durable hearth pads as its counterparts, but the beauty and flair of porcelain tile tends to set them apart. This photo displays the Safari Sand color option. Vol Sand – A step above the Designer Series, the Elegant Series offers the same safe and durable hearth pads as its counterparts, but the beauty and flair of porcelain tile tends to set them apart. This photo displays the Volcanic Sand color option.